[Corporate] told us on Thursday that they will wind down the website, so we’re not in the market for anything … except new jobs. I’m sorry to hear about the guys at the magazine who are at risk of losing their jobs (word is, the hammer has already come down). 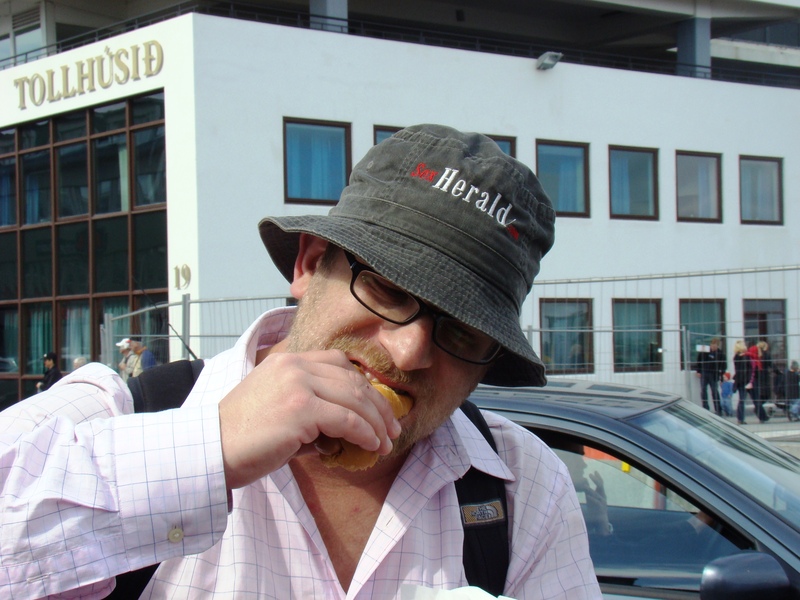 So, I had to push to get it up quickly, and I wasn’t able to put together a hot dog price chart. Fortunately, I was able to find one at EconompicData. So, many thanks for the legwork! EconompicData put together a great story on the subject, so I do suggest that you give it a look. 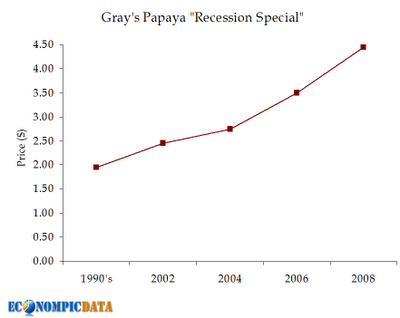 Also, take a look at a few other articles on the Gray’s Papaya price increase. 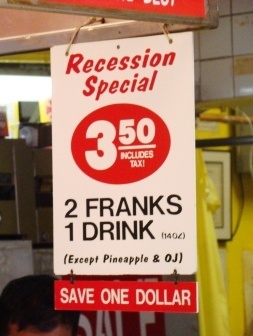 Oh, and at $4.45, I have my doubts as to whether the savings is still a full dollar. I’ll have to see if they’ve replaced that sign as well.